Audi is now presenting its third “vision vehicle” after the AIcon and the PB18 at Auto Shanghai. 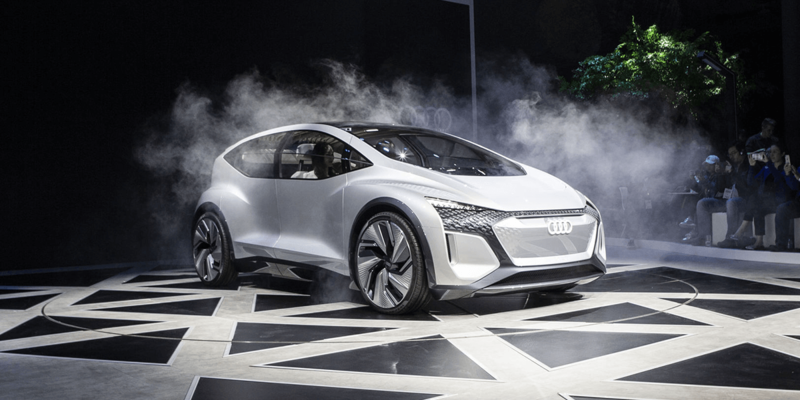 The autonomous city electric car is called AI:ME and accompanies the series version of the fully electric Q2 L e-Tron for the Chinese market, which was also presented for the first time at the trade fair. The compact SUV Q2 L e-Tron, which will be delivered to the first customers in China this summer, has a body that is 33 millimetres longer than the base, a feature Chinese consumers often look for. An electric motor with 100 kW on the front axle provides the drive, the battery with 38 kWh capacity should enable a range of up to 265 kilometres. China’s Volkswagen partner FAW will help realise the construction of the Audi electric motor in China. While the Q2 L e-Tron will soon go into production, the Audi e-Tron currently out in Europe will first start production in China next year. Meanwhile, series production plans are not an issue for the AI:ME. With this study, Audi is simply presenting its version of tomorrow’s autonomous city electric car in Shanghai. The model has a 125 kW drive unit on the rear axle, a rechargeable battery with 65 kWh capacity and the ability to drive automatically at level 4. With a length of 4.30 m and a width of 1.90 m, the AI:ME comes in the format of a compact urban EV. But the wheelbase of 2.77 m and the height of 1.52 m signal, according to Audi, interior dimensions “that are at least one class higher”. This is made possible by the architecture of the electric drive, which allows for short overhangs and a large-volume interior without a central tunnel. After the Audi AIcon from 2017 and the radical Audi PB18 sports car from 2018, the Audi AI:ME is already the third vision vehicle from the Volkswagen subsidiary. The Audi AIcon offers the qualities of a business jet for the long haul on the road, whereas the PB 18 is is like something used for the occasional trip to the race track. A fourth vision vehicle will complete the concept trio at the IAA in September 2019. With so much future, we took a glance at the Audi archives which reveals that the German company has already put a similar show car in the limelight in 2011. The so-called Audi A2 concept was also an electric vehicle in the compact segment. As a technology study, it showed “a classic space concept at premium level” and “an outlook on electric driving in the megacities of the future,” as the manufacturer put it at the time. Admittedly, there wasn’t much talk of autonomous driving functions in 2011, but against this backdrop, the current study seems a little warmed up or, could have become production reality by now.